Buying a newly constructed home can give you more options than a previously owned home. You can choose the cabinets, flooring and possibly the floor plan. And you will be the first family to live this home! However, buying a new home can also create some challenges: additional expenses, location, unreliable builders, and having the home finished in a timely manner. Follow these 8 steps before buying a newly constructed home and the process will be smoother. When buying a previously owned or a newly constructed home, get funding preapproval so you know how much you can spend on a home. Keep in mind the total cost will also include any additional upgrades you want before your home is built. · Will you have a reasonable commute to work or areas you normally spend time in? · Are you willing to put in the work for new landscaping and to wait years for trees to mature? · Do you mind having a home that has a floor plan and paint scheme similar to your neighbors? · Today many developments have homes built closer together with little space between them. Do you mind being that close to your neighbors? Many builders will want you to use their lender and their real estate agents. Get your own real estate agent! The builder’s team is looking out for the builder’s interest, not yours. Have your agent introduce you to the builder first. Don’t go there without having representation. Some builders will not let you bring in an agent if you’ve gone to them first so contact your agent before looking at new construction. In addition, many builder’s will pressure you to use their agents if you come in without your own agent. Do as much research on the builder as you can. Are they reputable? Have they built other developments like the one you’re interested in. Do they have any complaints or legal action against them? Check out their websites. Research the internet. Check with the Better Business Bureau. In California, you also can check the Contractor’s State License Board for any complaints against the builder. First, look closely at the floor plans and if you have a choice, choose the one that will fit your needs the best. If you don’t understand anything on the floor plan, ask questions. 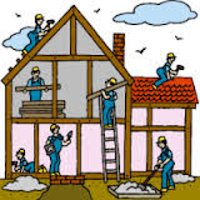 The builder’s sales rep will assume you understand what is on the plans and that can cause problems later. Ask lots of questions! Also, understand what customizations or upgrades you can make before building. Some developments will limit the customizations while others will provide a broader range of items you can customize. Some builders will give you only 2 or 3 options for flooring, while others may have 5 or more options. Don’t forget to ask the cost. If you want marble counters but the builder was putting in solid surface countertops, it may cost you more. Don’t forget to include all upgrades in the total costs. Make decisions on customizations and upgrades as soon as possible. This will save money later. Deciding you want the house wired for a built-in security system after the electrical is finished will result in more work for the builder. This will cost you more and it may delay your closing time. So make all upgrade and customization decisions before construction starts. Check to see if the development will have a Home Owner’s Association (HOA). Ask for fees and rules. Many fees can be very expensive and many HOA’s can fine homeowners for any infractions of the rules. Make sure you know what is expected and if those rules will fit your lifestyle. Many will restrict what color you can paint your house, what remodeling you can and can’t do, if you can a vegetable garden or not, and so on. Don’t forget to ask if there are any amenities included with the purchase. Will there be a clubhouse, a park, a gated community, a playground, etc. Once you’ve decided on the floor plan and upgrades, have all the information put into a contract. Then have a real estate lawyer review the contract before you sign it. Make sure there is information about the timeline to complete the home and what happens if it isn’t completed by the agreed upon time. 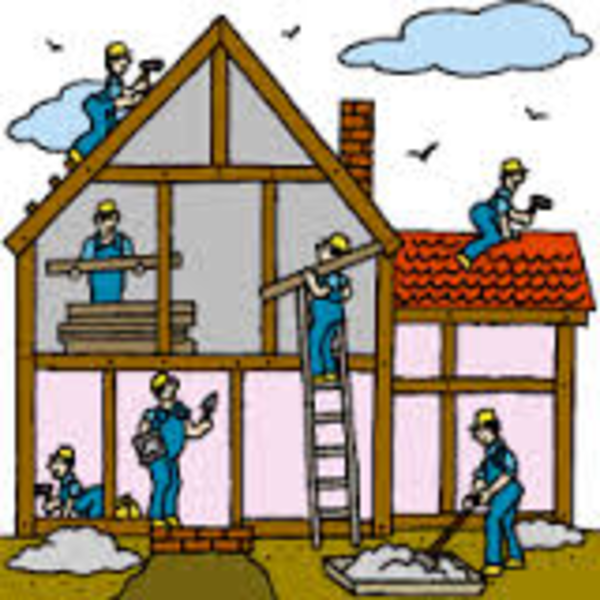 Most builders offer warranties on workmanship and materials. Make sure you understand what is and what isn’t covered by the warranties. In addition, make sure you know what steps to follow if you need to have something repaired under a warranty. New homes can have as many issues as a previously owned one so make sure you have the home inspected by an independent certified home inspector. Don’t use an inspector the builder recommends. Don’t use your father-in-law or friend. Certified home inspectors will look at everything: the roof, the electrical and heating systems, the plumbing, the foundation, etc. Be there for the inspection and ask questions. You and your family will be living in this home and you should understand as much about it as you can. If you don’t understand something, ask for clarification. As the closing time approaches, rely on your team (your real estate agent, your lender, and your lawyer) to help through the last few steps. Once escrow has closes, you’re ready to be the first family to live in your new home. Congratulations! Contact me if you’re interested in a newly constructed home, and I'll guide you through the steps outlined above!